This is a blog post by NTUC Assistant Secretary-General, Zainal Sapari. Any extracts should be attributed back to the author. 12 February 2019. The debate on minimum wage will resurface whenever the topic of income inequality is raised. Even though many countries worldwide have a national minimum wage policy with the intention of safeguarding workers’ interest and welfare, studies on its effectiveness by economists have so far been inconclusive. 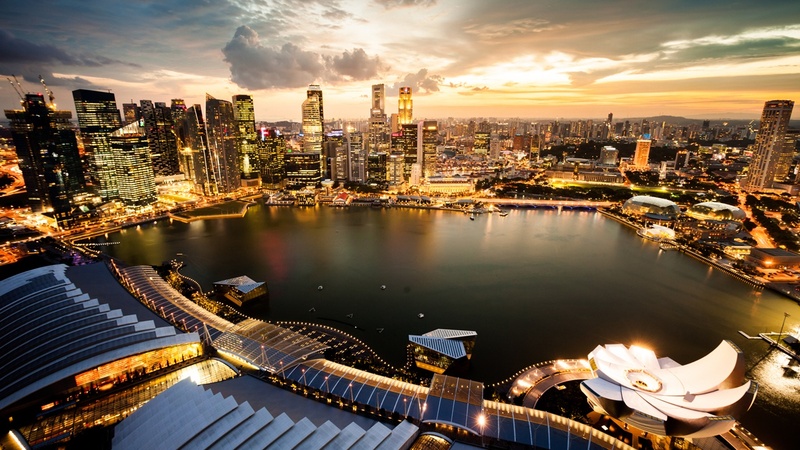 In Singapore, the Government and employers have been lukewarm to the idea as there are worries it may impact our economic competitiveness if there is no corresponding increase in productivity to sustain the growth in wages. Instead, our Government’s approach to help vulnerable workers in a sustainable manner is by encouraging work, levelling-up skills, and raising productivity and wages of low-wage workers. This is based on the core premise that having a job is still the best welfare, and full employment is still the best protection for our workers. This has been the rationale behind the implementation of Workfare Income Supplement (WIS) and Workfare Training Support for all lower-wage workers aged 35 years old and above, and earning up to $2,000 per month, as well as the use of regulatory levers to implement the Progressive Wage Model (PWM) in the cleaning, security, landscape and lift maintenance sectors. 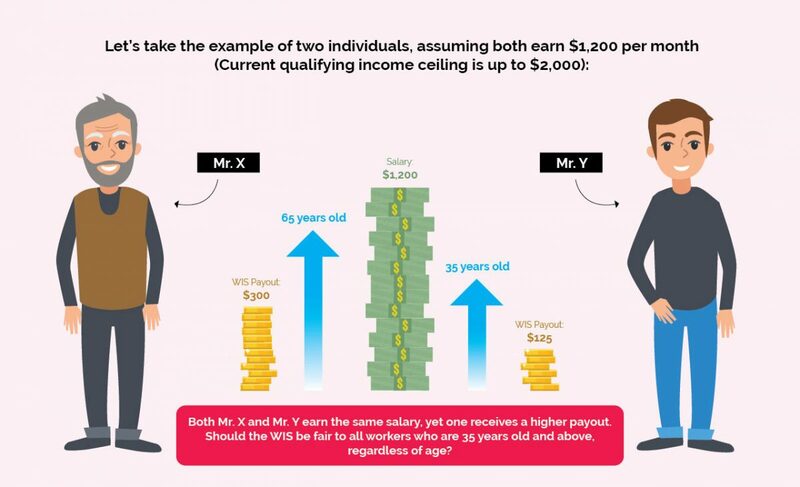 The WIS scheme, implemented since 2007, is targeted mainly at Singaporeans 35 years old and above in the bottom 20th income percentile, with graduated support provided to those up to the 30th income percentile. Over the past decade, about 830,000 Singaporeans have benefited from the S$5.5 billion disbursed through WIS. Recently, Professor Tommy Koh rekindled the debate on minimum wage. A universal minimum wage is unlikely to take root in Singapore, and the PWM and WIS are our current policy response to having a minimum wage. Is there scope for PWM and WIS to be improved further? The WIS is reviewed every three years, with the last enhancements done in 2016, amongst which the qualifying income ceiling was raised to $2,000 per month and a higher WIS payout of up to $3,600 per year. With the impending review of WIS, perhaps, other than reviewing the qualifying income ceiling and the WIS payout, this is also the best time to question the assumptions and intent of the scheme. Currently, WIS not only provides income supplement to boost take-home pay, but also channels funds towards CPF savings for retirement adequacy. One of its objectives is also to incentivise older workers to join the workforce. The WIS payout that an eligible person receives depends on his age and income. In general, older employees or those with lower income receive higher payouts than younger employees, or those with higher income. However, a fundamental review of WIS can happen only if the basic assumptions are questioned. While WIS can supplement a person’s income, it may not be necessary for the payout quantum to be differentiated based on age to incentivise older workers to work. In other words, I posit that older low-wage workers will work regardless of the WIS quantum. I am not advocating for any reduction in the WIS payout to older workers, but for the payout to be the same across the different age groups based on their income. While the current qualifying income and age criteria should remain, removing the age differentiation would mean that the 35 and 65-year-old worker, earning the same salary, will receive the same payout quantum. Mr X is 65 years old. Every month, he would receive $300 through WIS, which is the maximum amount any worker can get through Workfare. Mr Y is 35 years old. Every month, he would receive $125 through WIS. This is $175 lesser than Mr X. While both of them earn the same monthly income, Mr Y receives less WIS support due to him being younger. While the argument to give a higher WIS payout is to incentivise Mr X (who is much older) to work, it can also be argued that Mr Y is likely to have more young dependents. There is also a less strong argument to extend WIS to workers below 35 years old, but being younger, the worker has a longer runaway to upskill himself for a better job with better pay, without requiring any workfare assistance. Indeed, it will require a fundamental change in thinking on WIS to change the payout mechanism, where all Singaporean workers 35 years old and above will receive the same payout based on their qualifying salary. But if the WIS is intended to be an income supplement to reduce income inequality, then the payout quantum should be differentiated based on income only. Another area of enhancement is the WIS cash-CPF ratio. Currently, cash constitutes 40 per cent of the payout quantum. Since WIS is to supplement income, it should therefore translate to higher disposable income for the workers to address their immediate needs. I would therefore call for the cash component to increase to 80 per cent, with 20 per cent channeled to CPF – similar to the 20 per cent employee CPF contribution rate. The tripartite partners supported the PWM mooted by NTUC as it provides a clear progression ladder for workers to earn higher and sustainable wages as they become more skilled, more productive and take on higher job responsibilities. Each PWM is developed through extensive tripartite consultations, taking into consideration sector-specific issues such as past and prevailing wages, working conditions and the required skills for the relevant jobs. 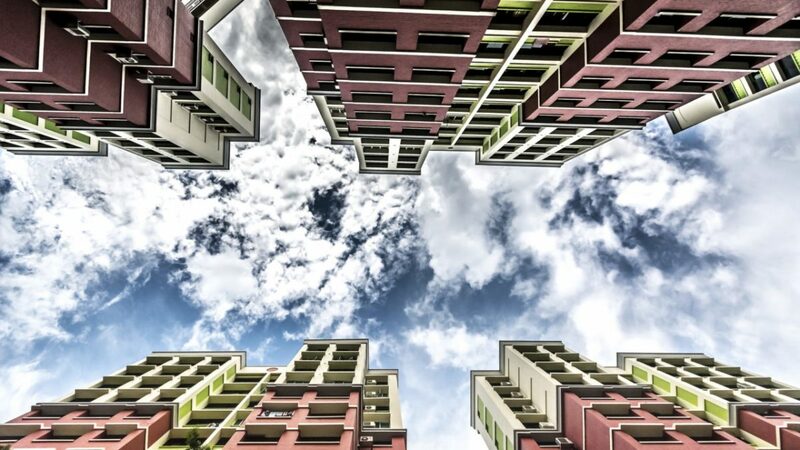 Currently, the adoption of PWM is mandatory in the cleaning, security, landscape maintenance sectors, and most recently, the lift maintenance sector, but for other sectors, it is voluntary. Since the implementation of PWM in 2014, over 77,000 resident workers in over 1,600 companies in the cleaning, security and landscape sectors have benefited from higher wages that commensurate with their skills and productivity. Is there scope for PWM to be made mandatory in other sectors? This all depends on whether the success factors of the current PWMs can be replicated. First, the adoption of PWM can be made mandatory if there are regulatory levers to ensure compliance. Such levers exist in the cleaning, security and landscape maintenance sectors. Second, there must be a strong will amongst the tripartite partners to uplift wages and professional standards in the industry, and any recommendations related to PWM must have the consensus of the tripartite partners. Having a strong industry association in the discussion is a definite plus. Third, the end consumers must be prepared to pay higher prices, but this can be mitigated if there is greater adoption of technology and change in work processes for higher productivity. 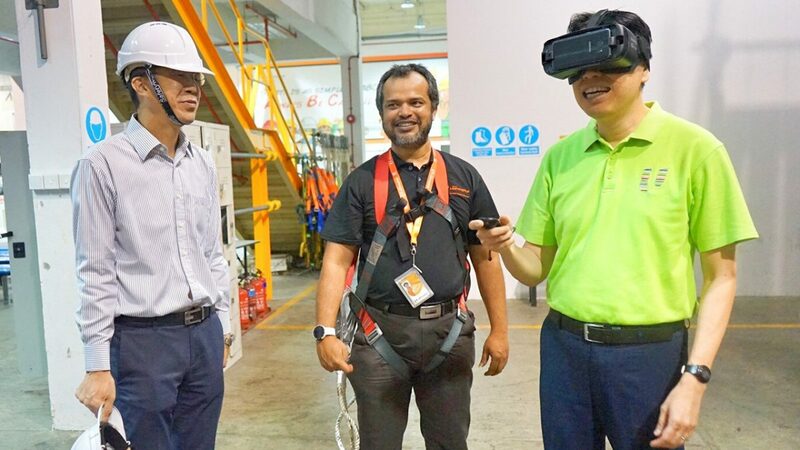 While NTUC would like to have the PWM made mandatory in more sectors, it has not been easy as there must be support from the tripartite partners and other industry stakeholders. Given the challenging business environment faced by many industries, any effort to increase workers’ wages must be supported by an increase in productivity. Furthermore, for PWM to contribute to growing the real wage at the bottom 20th income percentile, there must be a sizeable number of workers who can be impacted by the PWM. Only then can there be a ripple effect on the other industries to push wages up as well. Looking at other sectors to implement PWM has been an uphill task. It takes a lot of perseverance and political will to bring it to fruition, like what the tripartite partners went through in our earlier efforts to make PWM mandatory in the cleaning, security and landscape sectors. If a tripartite consensus cannot be reached to extend PWM beyond the current mandatory sectors, has PWM reached the maximum impact of what it can possibly achieve in terms of pushing wages up? Do we then need other policy interventions that would help low-wage workers achieve sustainable wage increase that commensurate with economic growth? These are difficult and hard questions, but we must challenge basic assumptions in order to effectively help low-wage workers earn better wages. Our work is definitely not done, and NTUC will continue to engage industry stakeholders and study the feasibility of extending the PWM to other sectors, so that more workers can benefit. As a society, we must help workers earn better wages through better jobs. No work is insignificant. Every worker must be able to earn fair and good wages for them to live in dignity.